Every year 438,000 people die from malaria - a curable disease. Thousands of people in Gambia are sadly unable to access the medication needed to stop the illness and needlessly lose their life, a common and devastating result of this is that young children are then left behind to fend for themselves. B&M’s Support Office receptionist, Denise Arribaja, has told us all about the wonderful charity that she and her family support. The Arribaja Clinic was set up in the village of Wullinkamma, Gambia after Denise’s sister-in-law and brother-in-law fell in love with the location and its people when holidaying there a few years ago. They generously used their personal savings to set up the clinic to provide care for families which has grown rapidly over the years. The Arribaja Clinic supports families living in concrete compounds with no running water or electricity. The clinic provides vital care for babies by monitoring their health once a month and providing much needed medical care. Denise explained how mothers will travel for miles to receive treatment at the ‘Mother and Baby Days’ so their children can stay healthy. B&M has been honoured to show Denise support by donating toys, shoes and clothing to the children. 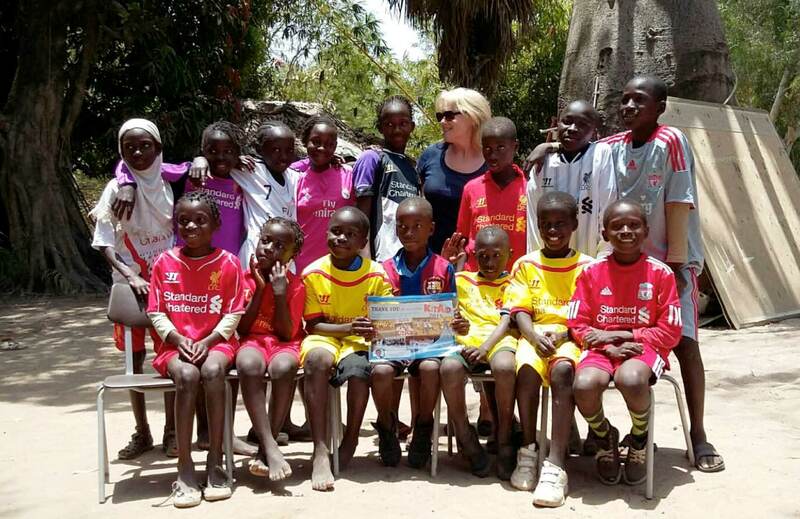 Denise told us: “The children are so grateful to receive clothing and they love when we bring Liverpool football kits. It’s quite chaotic handing gifts out but it is so worth it to see their smiles. They are so appreciative for even the simplest of toys like bubble blowers or balloons. The sight of 100s of joyful children is quite remarkable."